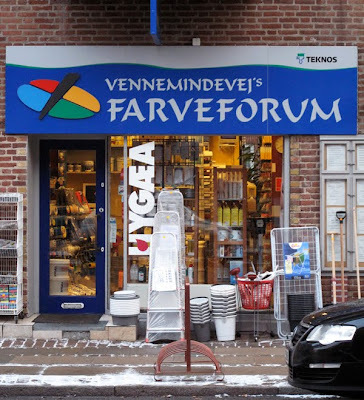 The HuskMitNavn Blog: Vennemindevejens farvehandel. Back in the days everyone used to buy their spray paint at this shop. You could also buy the first graffiti magazines here and you always knew if there were a national holiday in Norway, then the Norwegian writers had been here and bought all the paint.